5G service greatly facilitates web browsing and streaming over mobile devices. Moreover, the availability of 5G enables the implementation of the Internet of Things (IoT) and “Smart Cities”. 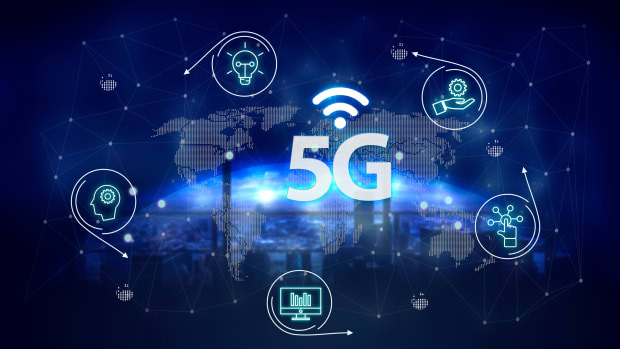 5G is the cornerstone for generating innumerable opportunities for economic growth, improved access to education, training, employment, transportation and healthcare. IoT applications have already made a profound and growing impact in security, industry, agriculture and certainly many more areas. The components of 5G technology were developed by engineers over more than a decade through the successful rollouts of 2G, 3G and 4G (LTE). The three (3) pillars of 5G that enable the networks to be fully functional, i.e. by supplying higher capacity, consistency and lower latency, are the availability of Spectrum, Infrastructure and Backhaul. The architecture of the traditional Radio Access Network (RAN), the network for mobile telecommunications, is redesigned to enable 5G. Centralized RAN (C-RAN) occurs where the Baseband Unit (BBU), which originally sat at the base of a large tower, is moved to a central location to serve multiple cell site locations. One centralized location for the new BBU can handle hundreds of small cells across an area of a city, greatly enhancing both coverage and speed. The term C-RAN is also used in a different context: Cloud-based RAN. Cloud-RAN, as explained by OEM-equipment provider Ericsson, enables the network operators to support explosive growth in data demand “through the combination of network functions, virtualization techniques and data processing capabilities in the networks.” This configuration allows for resource pooling, scalability, layer interworking and spectral efficiency. The centralized and cloud-RAN architectures are enablers of 5G. © 2017-2019 Maverick Technologies, Inc. All rights reserved.